Yesterday I gave my first radio interview. John Darvall interviewed me for BBC Radio Bristol and he asked me about teaching and writing. Very informative , especially for me, as it dawned on me why I wrote The Artist’s Muse and the connection it has to my teaching. The interview with me starts 2 hours 5 minutes in (after the Michael Jackson track). A life can change in a heart beat. One moment all is well with the world, and the next, one random act can turn everything upside down. Like getting attacked in the classroom. I’d turned up at school one sunny Monday morning to do the job I loved. One hour later and I would never be able to see it in the same way again. How did that happen? I’m still not quite sure. A new boy had joined us (expelled, I was to find out later, for attacking a student and a teacher – both female – in another school) and he took exception to the fact that he wasn’t allowed to use his mobile phone throughout the lesson. Although his attack on me, both verbal and physical, was brutal, I pitied him. Still do. I chose not to press charges but he was still expelled. I never saw him again. I chose to carry on teaching, but it was never the same, despite first counselling, then reducing my hours. The writing was on the whiteboard and it was telling me I had to go. It was only a matter of time before I exited teaching in a secondary school forever. It broke my heart as well as my bank balance. No job, no money coming in. What was I to do? For a while, a very long while, I wallowed in self-pity. Destined to wander aimlessly for all time, I was unable to talk about what had happened to me without bursting into tears. No need to wear a t-shirt with victim printed on it, I was doing a pretty good job of making that apparent myself. No props required. Then, one day, I was wandering round a gallery (which a friend had very kindly paid for me to visit) when I knew what I had to do. As I looked around the exhibition I saw rooms full of paintings of the same artist’s model. She was everywhere. I wanted to find out about her, this woman who had been mistreated by the artist who clearly owed her his reputation by robbing his model of hers. I therefore decided to give her a voice so that she could fight back, tell her side of the story. I was going to write a novel. I wanted this artist’s muse to be written back into history by allowing her to tell her story (please don’t groan). She would encounter obstacles, suffer misogynistic attacks, feel a victim, but, in the end she would triumph. I had no idea what I was doing at the time but by writing the story of the artist’s model I was unwittingly exorcising my own demons. Well, no, it’s true that I’ve never been an artist’s model and I’m certainly not a young girl, but in every other respect the artist’s model and I are like twins separated at birth. It’s now all so clear to me. And so that’s how life can sometimes work. It throws you lemons and you… You know what I mean. 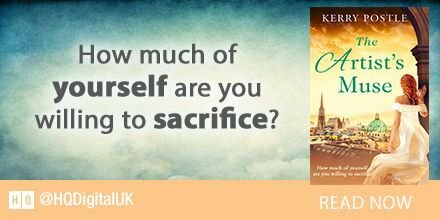 The novel The Artist’s Muse by Kerry Postle is set in early 20th century Austria and is a fictional account of the life of Walburga ‘Wally’ Neuzil and her relationships with the artists Gustav Klimt and Egon Schiele. What inspired you to write the novel The Artist’s Muse? The early 20th century in general, that most revolutionary of times, for both art and politics, has always fascinated me and after a trip to Vienna I knew that I had to write a novel set in that period in that city. An age and place of supreme cultural importance, where Freud, Klimt, Tito, Stalin, Schiele, Hitler, Mahler and many more angels and devils of European history rubbed shoulders. Sometimes sublime, usually challenging, often inspirational, occasionally rotten. I had to write about it. And after a visit to the Egon Schiele exhibition at the Leopold Museum in 2015 I knew what to write. The artist’s relationship with his model encapsulated much of this conflicted spirit of the age. It was perfect. Why did you choose to write The Artist’s Muse from Wally Neuzil’s point of view? I had Wally as the narrator because I wanted her voice to be the one you heard. I had no true sense of what she thought, what she felt, as I walked around the Leopold, even though there were so many images of her on the walls. I had to tell her story and that’s why it was important to use her voice : to bring her vividly to life. Why did you call the novel The Artist’s Muse? I didn’t. It was the publisher who chose the title. I’d chosen ‘Matter without a Soul’, an Otto Weininger quotation which describes what many people at the time believed women were without men – formless, soulless, mere lumps of flesh waiting for a man to mould them into meaningful shape. The Artist’s Muse, however, is a far better title as it describes precisely what Wally is. The story illustrates the extent of her influence and how she inspired Schiele to achieve his greatest work as only a great muse can. I’ve been told that you regard The Artist’s Muse as a feminist novel. Why? So she doesn’t lead a women’s march. She doesn’t turn into a super woman. However, she does think like a woman who questions the fairness of how she is treated, the inequality between men and women, between different classes of women… She is trapped in the cage society has created for her and she has no way out of it while the world goes on as it does. It is ironic that what does eventually give her the chance to break free is war, which in itself destroys so many lives, making her survival/ victory bitter-sweet. There’s a lot of art in the novel. Why? The title is The Artist’s Muse – she inspired so many of the great paintings of some of the greatest artists of the twentieth century. She was not only the subject but also the inspiration and not to have made reference to at least a handful of them would have been a grave omission. The aim of this novel is to weave art and life together and to explore how the former inspired the latter. Egon Schiele. A great artist? Yes, undoubtedly. However, he was flawed. Blessed with a precocious artistic talent, he was immature and suffered from the same overbearing hypocrisy of which he accused others. Why did you end the novel when you did? It’s true that Wally’s life does not end at the end of the novel. However, without giving away what does happen in her life, I wanted to end the novel on a positive note. She’d had a miserable life until then and I didn’t have the heart to make her experience within the novel unerringly bleak. After all that she’d endured I wanted the novel to end with hope as for me Wally represents all women. Many readers have commented on your style of writing. It’s clearly worthy of comment. Why do you think that is? While I was writing The Artist’s Muse I wanted to play with the writing. I read many of my favourite novelists again and used them as guides, inspiration. I hope that the joy that comes from playing with words comes across. I’m currently working on a novel set in Franco’s Spain, where the human spirit has to battle in order to stay strong in a chaotic world. Today I’m featuring the Gustav Klimt paintings that feature in Kerry Postle’s novel The Artist’s Muse set in fin-de-siècle Vienna. 5 little reasons to make me want to go to Vienna. 5 little reasons to make me want to read the book. In these surreal days when ‘The Donald’ is sitting on the throne in the USA and poor Theresa is melting to a gooey, formless mess before our very eyes (with Andrea Leadsom ready to step into her Russell and Bromley kitten heels at any moment), it’s hard to think of a politician without raising an eyebrow in disbelief so high that my hairline disappears halfway down the back of my head. So, you can imagine my surprise when I heard a story about Macron on the radio just now that made me laugh with joy. Not derision. That’s why I’d like to share it with you. When he was at school and he didn’t get the part in the play that he’d auditioned for, (no. He didn’t make a play for the drama teacher. Not then),he went off (and this shouldn’t come as a surprise when you think about it) and (yes, you know what’s coming) started his own drama group (see) so that he could perform the part that way. So it might not seem much on the surface of it. I accept that. But a man who doesn’t see obstacles only solutions, well that’s something to celebrate. But even better is the fact that the solutions, when made, seem so obvious. So easy. But no one else came up with them. They still plugged away, trying to jump through the hoops, little thinking that it might be time for some new hoops. And that’s what he’s done with En Marche. Macron. At last. A politician to inspire. Achieving the seemingly impossible and making it seem oh so simple. And the man can recite Molière. How to promote a novel? Don’t ask me! I’m on Twitter but have no followers, I have Facebook but rarely post on it, and the thought of sending a message asking friends to spread the word seems presumptuous to say the least. In the mean time I retweet the suggestively scandalous shareables (that’s what the racy soundbites are called in the world of book promotion) to my non-existent followers. I nearly forgot to say. Kerry Postle, one of our writers, has written a novel. ‘It’s now finished, and although it may not be the novel I’d intended, it’s been a delight to write. Inspired by a joint Tracey Emin-Egon Schiele exhibition at the Leopold Museum in Vienna 2 years ago, it’s based on a true story. What follows is the original synopsis, and although I’ve made many changes to the manuscript, the basic story has stayed pretty much the same. It’s set in the early 20th century in Vienna and has as its ‘heroine’ the artist’s model, Wally Neuzil. 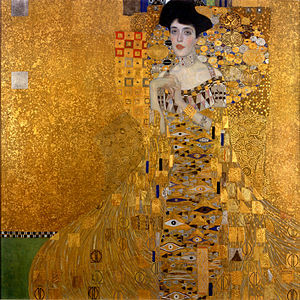 Wally was model to Klimt when very young, and at 16 he gave her to Egon Schiele with whom she had a relationship. Her changing fortunes force her to look at herself and examine the time in which she lives. Her initial opportunity comes with the death of her father, an event which thrusts her family into poverty, and into the city. The values she’s been brought up with are on trial. Limited opportunities dictate that she become an artist’s model bringing her face to face with her own prejudices (and so us with ours) towards a certain class of woman considered to be no better than a prostitute. Sexual mores are questioned as is the accepted exploitation of poor young women by an educated class. Wally is on a journey of self-discovery. Accepting and rejecting then growing. Her role is to highlight her own plight but also that of all women with no voice. Her interactions with educated, middle-class women are channelled through their judgement of what she does to earn money. Emilie Flöge’s treatment of Wally is little better than Klimt’s (she’s his posh totty) and in some ways worse as it constitutes a betrayal. Emilie and her sisters espouse ideals and hopes which Wally foolishly believes to be applicable to all women. She reaches out to them in a spirit of solidarity only to be judged and vilified by them. She experiences a cruel kind of prejudice at their gloved hands and even when all classes of women come together at the end – to help with the war effort in the city, a sense of change (with the future of suffrage) heavy in the air – the social class distinctions still cut in. Meanwhile Wally develops and illustrates that modelling is a performance art in itself. And she shows us that it is not only the artist who suffers for his art : Wally herself is sacrificed many times over. The raw talent of Egon Schiele cuts Wally up in his work, dissecting and reducing her. Similarly in the years they spend together he drags her to the depths, but they stay together which allows their relationship to deepen. This is down to her. She endures much, standing by him through accusations of sexual deviancy and imprisonment. As the pair mature Wally dares to hope that they can make a future together and Egon comes to love her. Yet when they get to know the Harms sisters, who live across the road, the weight of society’s judgement falls down, not upon Egon’s head as the artist, but, on Wally’s head as the model. More disturbing still is that Egon turns against her in hypocritical judgement. He rejects her savagely in favour of the socially acceptable Miss Harms. But how does it all end? I hope I’ve not revealed too much already. If you enjoy reading it half as much as I’ve enjoyed writing it, then you are going to love it. How long does it take to write a historical novel? I tell myself it’s a slow, meandering process, historical novel writing. A coffee here, research, a little bit of novel reading there (for inspiration purposes), research, a bit of wandering round the house (self-imposed isolation is a must), research, some food(you’ve got to have a break), research, some more food, research, perhaps a spot of Netflix, and, if there’s time, more research. And that’s on a good day. So where’s the writing? Where, indeed. I have now written a novel. A historical novel. And how I ever got round to finishing it is still a mystery when I take a look at my working methods. I’m not exactly prolific. One novel. Second started. Dread to tell you how long I’ve taken. I read that Ian Rankin (yes, I know he’s not a historical novelist) can take as little as 27 days to get a first draft down. The bitter failed writer in me sneers when I read that he has a house he can disappear in, cut himself off from all distractions, and just get on with it. Oh, if we all had our own hideaway in the middle of nowhere we’d all be able to do that. As I can’t even get to the end of a paragraph (and sometimes it’s far less than that) without rewarding myself with a coffee, another, better part of myself, knows that I’m delusional. Fooling myself. Especially when I’ve committed myself to self-imposed purda and stopped seeing people just so that I too am distraction-free. The coffees just keep on coming but the word count crawls along as slowly as ever. I hate to tell you that getting on with it is not that easy. I read somewhere that many artists and writers like to work with a memento mori to give themselves a kick up the backside – a reminder that life is short and there’s no time to waste. And so, not to be left out, I considered tracking down a skull for myself in the hope that evidence of my mortality might serve to get me working a little faster. Unsurprisingly the hunt for a skull took up many useful writing hours. Then there are the inspirational articles, the how-to books, the courses, following writers on twitter (that took me a while to work out I can tell you). I’ve even adopted the habits of highly successful authors. Many at the same time. And guess what? Yes. I’ve passed many a happy hour achieving nothing in particular. And so I just have to face it – I have no choice but to commit words to the page. One after the other. That’s going to be my next move. Try writing. Build it up. Word by word. Sentence by sentence. Paragraph by paragraph. Until I’ve got a chapter. Then another one. Who knows, as long as I don’t get distracted I might even end up with a book. Now that’s quite a different story. You’ve contemplated brushing up your rusty French. Again. But you’ve changed your mind at the last minute. You missed out on the September start. Then January came. And went. Perhaps you could try again after Easter. You know you want to do it. So what’s stopping you? Fear of failure? Dry lessons in cold classrooms? Turning up on your own? Committing to a series of lessons only to find out you don’t enjoy them? Well, the highly experienced teachers at Oh la la French might have exactly what you’ve been looking for. Four extremely accomplished professionals, Sylvia Aldous, Marie-Christine Page, Malorie Newbold and Isabella Morgan have put their creative heads together to offer people who want to speak French a more immersive experience than the average French lesson. Made up of interactive activities, games, treasure hunts, singing and more, they’ve come up with a language package that is useful, engaging, active and fun. An exciting introductory 90 minute session, scheduled for Monday March 13th at 10.30am, will give you a lipsmackingly juicy taste of how you’ll be learning when you sign up for their five week course. You’ll be working in small groups, provided with language support, pronunciation advice, supported through every section of the morning so that by the end of the session you’ll have made new friends and your confidence will be on the ceiling. Which is very high. Which brings me to the venue. Which makes me realise that the Oh la la teachers truly have thought of everything. Kings Weston House is a special venue and its lovely paintings and grand rooms will be integral to your language learning experience. No looking out through metal framed windows in grey classrooms for you. Rather the whole process is to be stimulating, an assault on the senses to excite the mind so that you are receptive to learning. That’s why the Oh la la team have chosen such beautiful surroundings for their new language learning venture. The very impressive Kings Weston House, designed by Vanbrugh, with exquisite interiors to delight and inspire enthusiastic language learners offers a unique language learning experience that will provide those fortunate enough to secure a place (numbers are limited to 30) bragging potential for years to come. This event promises to be very special. The venue is a real gem as are the teachers. And even on the rainiest of days it would be worth getting over to Kings Weston House to find that crock of French gold at the end of the rainbow…and you could even stay on for lunch.